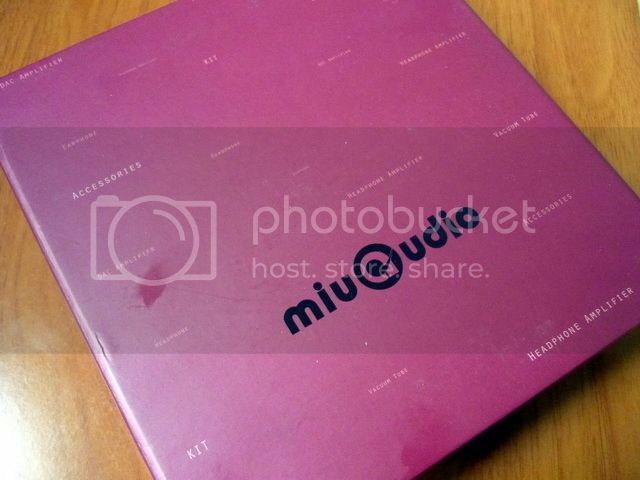 First, I'll like to thanks Miu-Tech for the review sample. Miu-Tech is originally an audio solution provider and OEM company with office based in Hong Kong and factory in China. In recent years, they begin to focus on developing products under the Miu-Audio brand. Their main product lineup includes PA system to speaker and amps. The MR2 Pro is the company’s first headphone product. With a retail price about $50 (which is fairly close to the most competitive part of the market) and a design that is almost too generic to tell apart from the sub-$20 variants, is MR2 Pro born to fail or will it rise to glory? 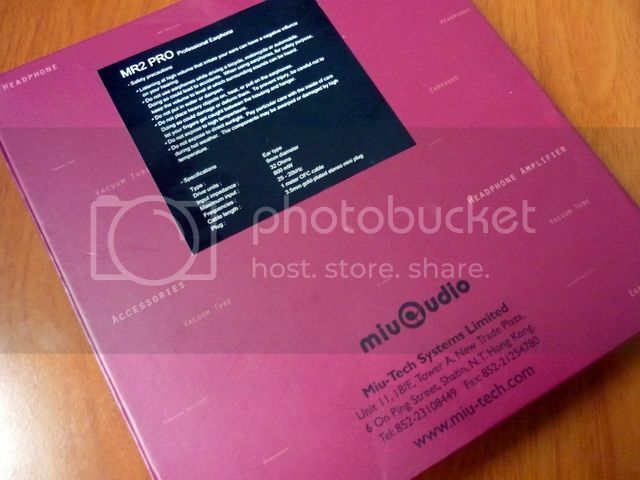 * side note: The spec from Miu-tech website is listed here as the one on the box is totally different. 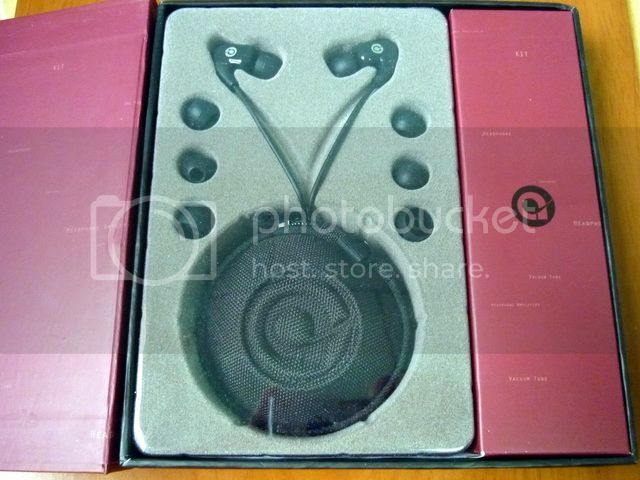 The IEM comes in a nice looking dark red hard paper box. Nothing special to write home about but it is decently packed for the least. There are 4 pairs of silicone single flange eartips (S, M , M L) and a semi-hard case. The eartips are decent in the sense that they are firm and not overly soft, but at the same time the molding isn’t perfect and they are not totally smooth on the edge (which can be irritating to some). The storage case is one of the first of its kind I have even seen. It is a clam shell case – half of it is hard nylon as expected but there other half is soft mesh. 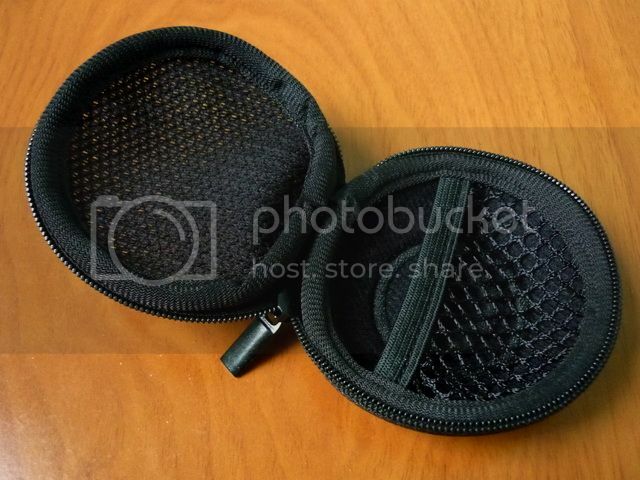 While it might look a little odd at first, the breathability of the case is a good idea, especially for those who like to store their IEM after active usage without any cleanup. I would actually like the case to be just a little bigger myself. As mentioned earlier, the design of MR2 Pro is very generic, but the build quality is still decent. There are some complaints from other users regarding weak glue causing the housing to split open, but the pair I have is perfectly fine without any issue. The lack of proper strain relief on Y-splitter and mini plug definitely can be improved. Since the IEM itself is designed to be worn over -the-ear, the lack of cable guide / chin slider is actually the bigger weak spot of the whole IEM since the cable is hard to controlled / secured. The cable itself is actually better than I thought. It is the slightly thicker, rubber type that doesn’t have much memory effect and seems to be generally durable. Microphonics is decent, as long as the cable can be secured over the ear. Isolation is a little low, not something for a noisy environment. Overall MR2 Pro feels decent, if not a little unremarkable for the asking price. While it is not bad per se, a less generic design can be a good thing - and a chin slider will be a good plus. A 50+ hrs of burn-in was given before the review. Not much change was detected. The overall sound signature of MR2 Pro is mild u-shaped with a fairly heavy bass. Bass is strong and impactful, but also good in speed and minimum in bleed. Though it might not have a long decay to give a full rumbling sensation or present all the bass texture, it makes it up by hitting hard and fast when needed. Mid is a half-step away, not to the point of being recessed. It still retains a good portion of detail and texture that works great with vocal though not very sweet. Probably not something that would be considered as the first choice for vocal listener but it is not shabby in its own right. Treble is well extended and sparkly. Micro detail is abundant thought there is a very small amount of graininess at the lower ends. Not harsh by any meaning, just could get a little busy with brighter music. Soundstage is actually very good, airy and spacious. Imaging isn’t very precise, but not something out of the ordinary at this price range. For such a plain looking IEM, I must say I am impressed in first listen as my expectation was a lot lower. Originally I was thinking that MR2 Pro would be a good enough IEM if the sound quality could get close to other well known great-bang-for-the-bucks $50ish IEM such as SoundMAGIC PL50, ECCI PR300 or the MEElec CW31. But after the audition I find that the MR2 Pro is actually a class better than its price tag has suggested, and comparable to IEM that cost $25~$50 more. As the old saying goes, look can be very deceiving. While lacking a killer strength in its overall presentation, MR2 Pro is dynamic and fun to listen, reminding me a bit of how TF10 sounds like, but in lesser form of course. For their first IEM, Miu-Audio has done a good job on putting a good sound into the MR2 Pro. 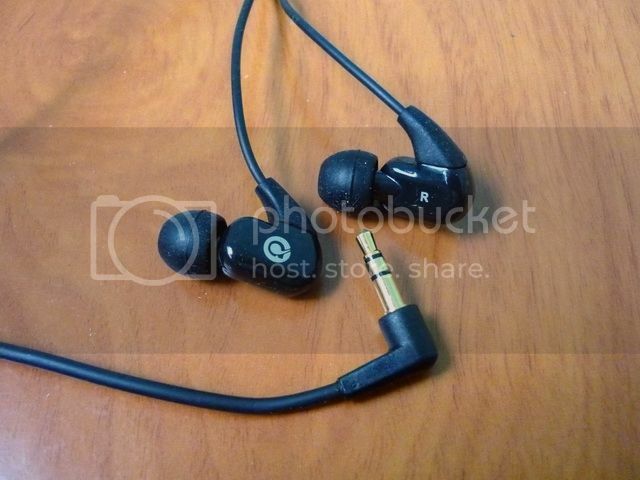 It could have been another killer IEM for the sub$50 category, if only the build quality is as good as the sound quality. It is still a good buy for now, but I think a little reversion would really put this IEM on the map.